Abu Dhabi: The rate at which the banks lend to each other in the UAE is expected to drop to at least 1.9 per cent once the deal for Dubai World's debt restructuring is done, the UAE Central Bank principal economist said yesterday. Dr Mohammad Z. Bechri told a seminar that the Emirates Interbank Offered Rate (Eibor) rose to 2.6 per cent in March, from 1.9 per cent last year, due to several factors. But it was most likely due to Dubai World's standstill announcement in November on its debt. "We will expect Eibor to go back to 1.9 per cent or even lower," said Bechri. "This would mean more money being injected into economic activities, which would boost the country's overall economy, depending on the magnitude of the lending," Abu Dhabi economist Mohammad Amerah said. Separately, Bechri said the UAE banks were adequately capitalised at the moment and didn't need more liquidity from the Central Bank or the federal government. "The deposits with the banks had risen even during the financial crisis and they have risen even more in recent months," Bechri said. "The national banks in the UAE are strong because of government deposits, both federal and local," he said. The UAE Central Bank had provided the country's banks with Dh50 billion in emergency money to cope with the shortage of funds in the inter-bank market around the time the global financial crisis started. In addition, the Ministry of Finance made available Dh70 billion in two tranches. Also, the Abu Dhabi government injected a combined liquidity of Dh16 billion into five of its banks to boost their capital adequacy ratio. Bechri said the country's banks had drawn on less than 10 per cent of the Dh50 billion emergency funding set up by the Central Bank. Bechri indicated that there may be a review of the regulation that did not allow UAE banks to lend more than their stable resources, but declined to say when the review would be. Stable resources of a bank comprise the bank's capital and 85 per cent of its deposits. 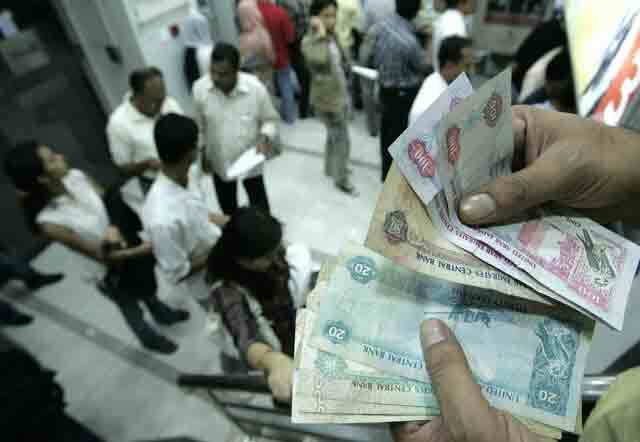 Bechri also said the UAE dirham's peg to the US dollar would remain.